I'm finally feeling like my pre-baby self again. I have 9 pounds left to loose and my tummy is still like a bowl of jelly, but hey, it's been four months and I'm darn proud of the way my body bounced back again! I decided to embrace my new size and wear something a bit more figure hugging then normal (well, tighter then I have worn in the past year anyway!). I love the orange color of my top with the turquoise in the earrings and the hot pink nails. Great color combo, don't you think?! And this ring is my new favorite! It was my February selection from Jewelmint and I keep wanting to style everything with gold so I can wear it over and over! Something about the placement of the 2 stones on it...I just find myself drawn to it! Yay! Congratulations to you for bouncing back so fast!!! You look great! I love bright colors! Very fun color combo!! You remind me Blair from GG! 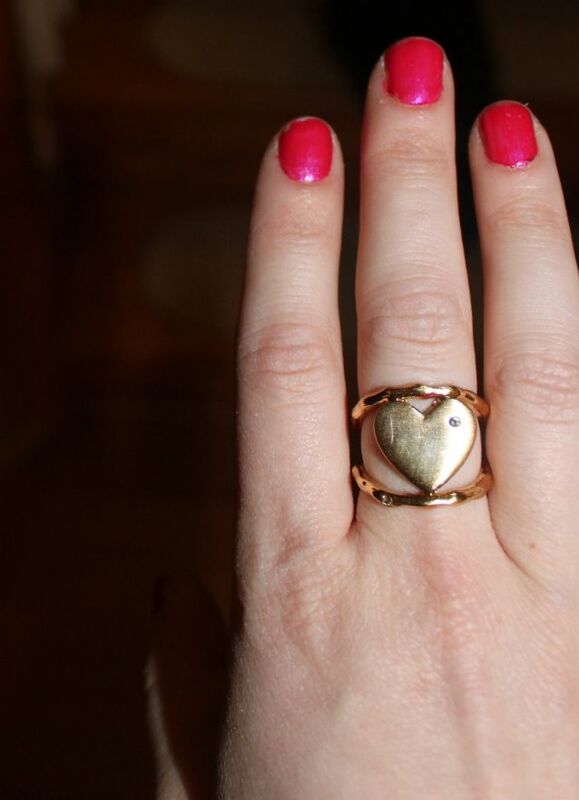 What a cute ring! I don't see 9 lbs...you look great! But I know what you mean about the belly, ugh! I Really Love this color combination ! Those earrings Rock ! Wow I totally LOVE the ring!!! Love those colors together too. 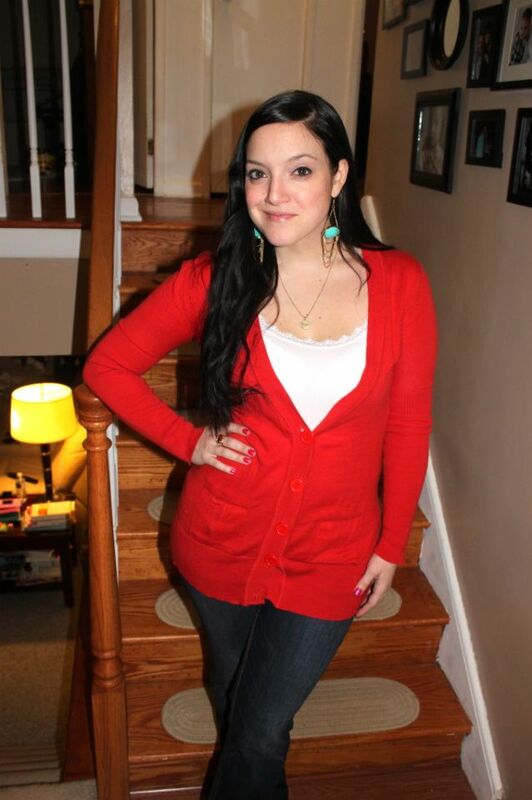 Cute outfit, and you really look amazing, especially considering how recently you were pregnant. Crazy! You look great, girl - and those earrings are fab! nothing like red paired with a dark jean. and damn, girl, you look great! isn't it the best when baby weight disappears. between stress and a gluten-free diet for me, i haven't been this tiny since college. this is the first year i am excited to look for bikins since i was 22!